Work for Gap, Banana Republic or Old Navy! Are you 16-24 years old and considering working for the summer? 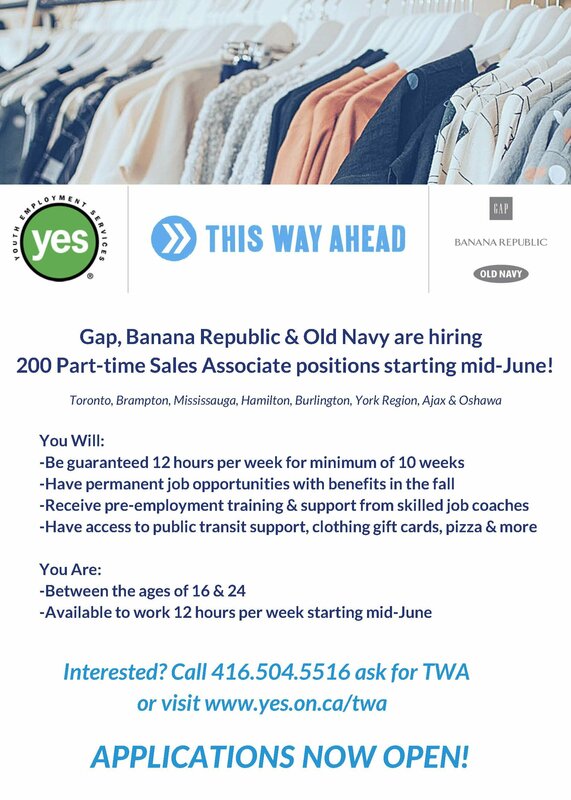 Want to work for Gap, Banana Republic or Old Navy? Apply now to our This Way Ahead Program! They’ll being hiring 200 Sales Associates and the process begins now. This entry was posted in Hiring Events, News. Bookmark the permalink.